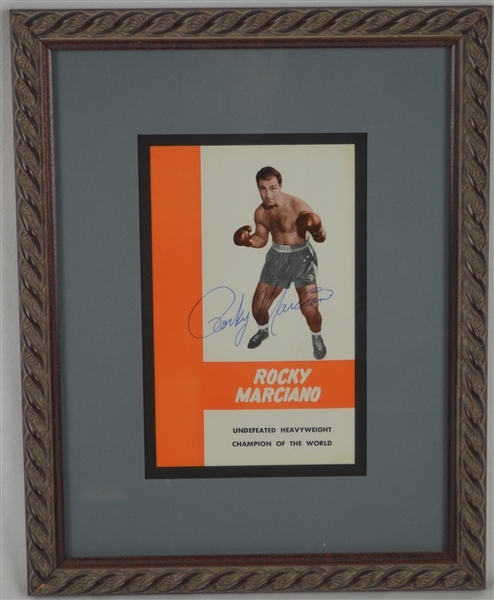 Attractively framed Grossinger's training program signed boldly on the front by legendary boxer Rocky Marciano in blue pen. This frame is interesting in that the back has clear acrylic as well so you can turn the frame around and view the back of the program. 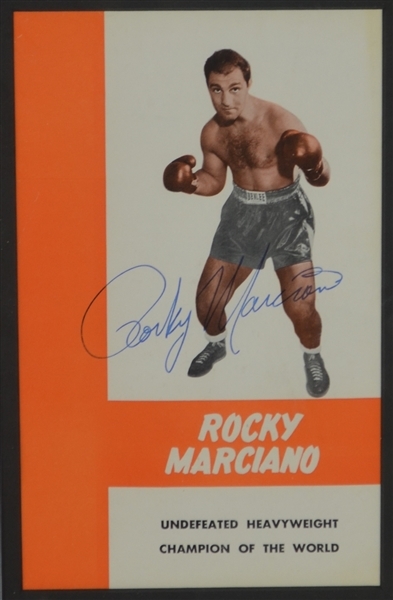 Marciano competed from 1947 to 1955, and held the world heavyweight title from 1952 to 1956. He went undefeated in his career and defended the title six times, against Jersey Joe Walcott, Roland La Starza, Ezzard Charles (twice), Don Cockell and Archie Moore. He was known for his relentless fighting style, formidable punching power, stamina and exceptionally durable chin. 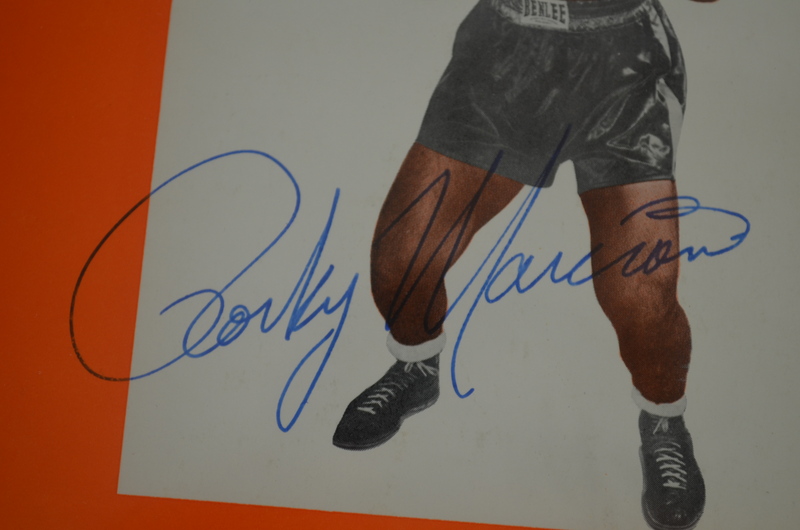 Marciano. 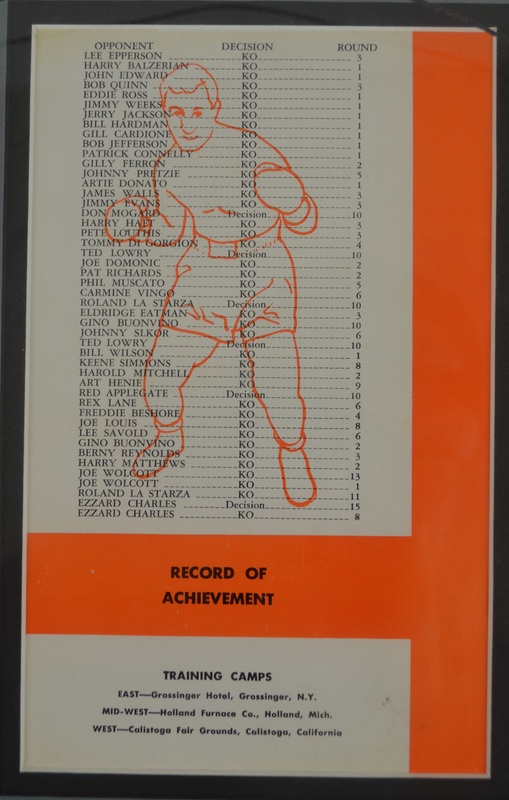 His knockout-to-win percentage of 87.75 remains one of the highest in heavyweight boxing history. Accompanied by a Letter of Authenticity from Clay Hill of SCP Auctions. Marciano passed away back in 1969 at the age of only 45 making his signature a highly coveted one by boxing and autograph collectors alike.